Is there a better alternative to Mathemagics? Is Mathemagics really the best app in Mathematics category? 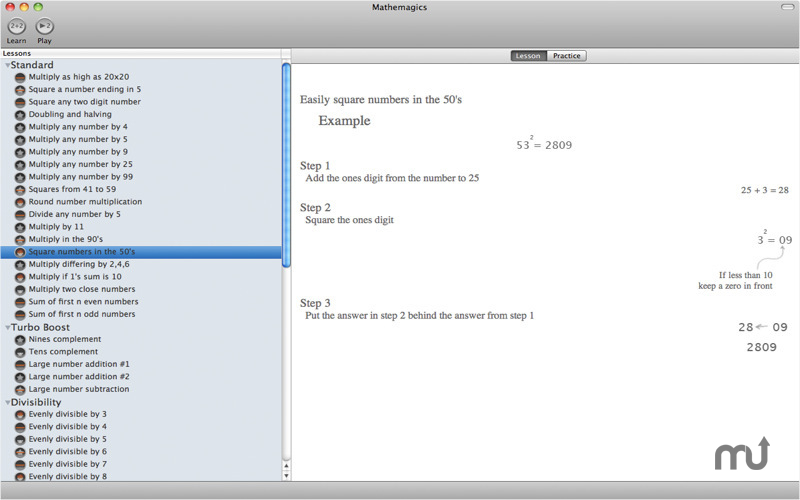 Will Mathemagics work good on macOS 10.13.4? With Mathemagics, learn how to add, subtract, multiply, divide, and square at lightning fast speed. Mathemagics needs a review. Be the first to review this app and get the discussion started! Mathemagics needs a rating. Be the first to rate this app and get the discussion started! Learn and practice the tricks of mental math calculation in a fun and engaging application. Study any of the math tricks and then practice them as you progress through various levels of proficiency. Tease your brain with a quick practice session while waiting in lines, riding in the car, or on the plane. Only the basic math skills of addition, subtraction and simple multiplication and division are needed to achieve astonishing results.